Just ordered fibre for home, which leads me to change my current home networking setup that I use with ADSL. As of this post, I do not have fibre setup, I do not have the router and do not have a WiFi card so the ability to test anything is not possible. Current setup - Netcomm ADSL2+ router/modem, connected to the BT phone jack in room. I have ordered a Intel 7260 AC Mini PCie card for the Intel NUC, however reading some articles there are known issues with the NUC, the WiFi unit the SSD leading to slowness. On a personal level I would rather be connected via a cable and I got thinking how I could do this and remembered that Powerline Ethernet Adaptors were a thing. My question - anyone using these? Would connecting the Fritzbox to an Ethernet Adaptor and then my NUC to the other end of the "circuit" work, delivering a consistent network performance? Are there things I should be looking out for when picking a pair of adaptors and any general "gotchas" or warning? You'll be able to request the ONT to be installed wherever (doesn't have to be in the kitchen). 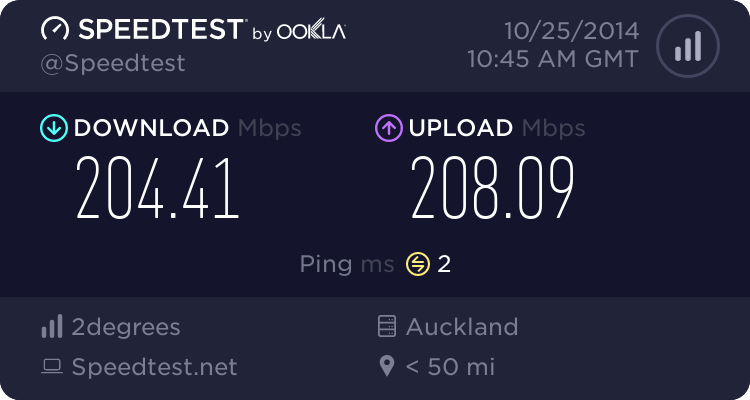 I have used powerline adapters but they're not the fastest - I was getting around 60mbit over them from one end of the house to the other. Depending on your router I would say Wireless AC or Wireless N 5GHz will be a bit quicker. They work - the speed can vary depending on your house wiring/circuit board etc etc. Generally a house with modern wiring would be essential. I would suggest that if you buy - get the ones with plug through ability - ie they plug into the power socket but have a power point. Saves it blocking the power point. Ignore the UK socket - you get the idea. You will not get the sort of theoretical speeds they quote - but I find I can stream HQ video just fine over them. 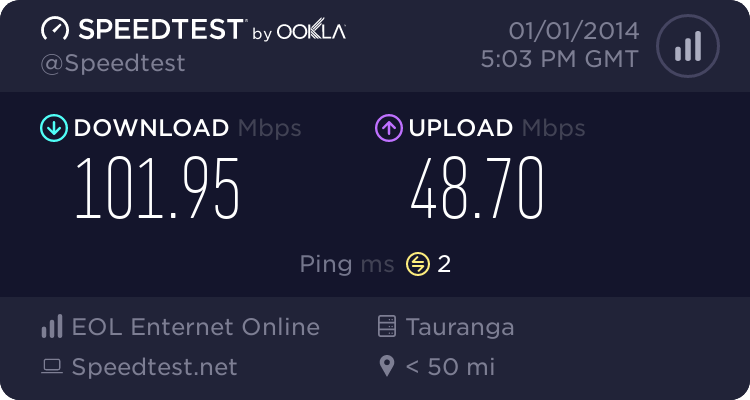 I get roughly 30-40Mbps through mine - one end of the house to the other in a house built in the 80s. Fine for the use case (access in that end of the house sometimes), would not be acceptable for main use. They were pretty slow in my old house, which was rewired haphazardly. Less than a megabit. robjg63: They work - the speed can vary depending on your house wiring/circuit board etc etc. This is where we had problems - the home had RCD's and these mess with the signals generated by these powerline adapters - at our new house I could only get around 5mbit over the 600mbit Netcomm model. Really depends on the house - the older houses with the old style fuses are the best since it is essentially a "straight-through" circuit. Newer houses often have RCD's installed. michaelmurfy: You'll be able to request the ONT to be installed wherever (doesn't have to be in the kitchen). Going with the kitchen (just beside) as that has ample room and (probably more importantly) ample unused power jacks. Behind the TV we only have one power socket, currently housing a 6 way power board to power the TV, Apple TV, BluRay, DVR, Stereo and iMac. The main reason I got this is because of too many wifi beaming into our house. I can see half a dozen of network. Occasionally our Amazon TV will drop streaming from HD. The options I had was to get a new cable run or this. I thought, I will give this a go and quite happy with this. I have a switch at the end - connected to a dedicated skype camera, amazon tv and LG tv. Will you still be using the internal phone wiring in the house after you get UFB? If not have a look behind the jackpoints and see what kind of cable has been used. If you are lucky you might have cat5. Otherwise check if it is the "Telecom Homelan" type cable (thin white cable with 2 pairs inside - 4 strands of wire with the pairs being twisted). This cable is suitable for 100Mbit ethernet. You only need to terminate it with network sockets (RJ45) Since the sockets will (most likely) be daisy chained. You will need to either configure a single run by disconnecting unused sections and the incoming line. (and using scotchlock joiners at any intermediate points) Otherwise terminate each cable to it's own socket on each former jackpoint location. And then use lots of 5 port switches to then get the equivalent of a daisy chained ethernet network. They will almost definitely not work or be massively slower if you try and use them on a power board.